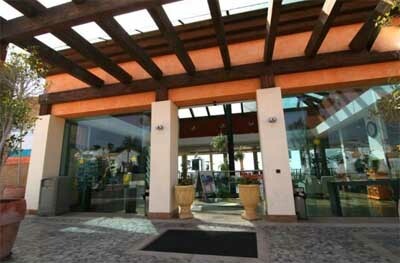 Address: Barrilla, s/n, Caleta de Fuste (Fuerteventura), Islas Canarias. Caleta Dorada is set a 10-minute walk from Caleta de Fuste Beach and marina, Fuertventura. The complex has outdoor pools and sun terraces with great views. Club Caleta Dorada offers apartments with a private balcony and satellite TV at an additional cost. There is a sofa bed, and the kitchenette comes with a fridge and microwave. The Caleta Dorada complex has a gym, small football pitch and squash court. There is also minigolf and table tennis. Some facilities come at an additional cost. There is a small water park and separate children’s swimming pool. The complex also has a buffet restaurant and poolside bars. You can hire a car at the tour desk, and currency exchange is offered. Fuerteventura Golf Club is a 5-minute drive away. Please inform Caleta Dorada in advance of your expected arrival time. You can use the Special Requests box when booking, or contact the property directly with the contact details provided in your confirmation.